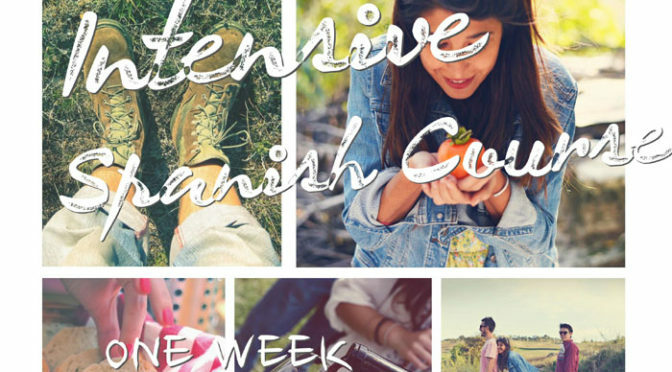 Between the 20th and 27th of May the Spanish School Entrelenguas, in Ronda, is holding an intensive one-week course, available for all levels and for small groups. They also offer optional half-board accommodation with local families, and of course different types of activities that will complement your immersion into our language and culture. Upper levels are mainly focused on the formal and grammatical aspects of the Spanish language, accuracy and correction of habitual errors. Lower levels are aimed at honing speaking and writing skills, and have a special focus on the pragmatic aspects of the Spanish language. The price for the intensive course only is only 110€ and registration is open until April, 30. You can contact them for further information at mrodriguez@entrelenguas.es (Mar Rodríguez, Academic Director). Plus… Enjoy the amazing Ronda Romántica festival! The course coincides with the festival ‘Ronda Romantica”. Traditional markets pop up all throughout the streets, local people dress up as their favourite characters from history, there’s music and dances from the 18th and 19th centuries, or what we like to call Ronda’s romantic times! ABOUT ENTRELENGUAS | Entrelenguas is a Spanish Language School that seeks to promote Spanish language learning and greater cultural understanding. We offer a broad range of Spanish courses as well as a great variety of 100% local and sustainable cultural, service, and career activities that guarantee the total immersion of the student in our community. Pingback: Intensive Spanish course in May in Ronda | Ronda, the City of Dreams in Andalusia, Southern Spain | Ronda "la Ciudad Soñada"